The lifeless body of fifty-seven-year-old Francisco Sis, a farmer of San Marcus Village, was observed in the middle of the Southern Highway on Monday night. He had been fatally struck by a pickup truck driven by forty-seven-year-old Gregorio Choc. 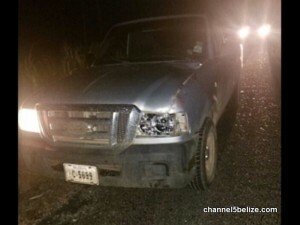 According to the self-employed resident of San Felipe Village, he was driving the Ford Ranger in the direction of Dump, when upon nearing the location he noticed a vehicle coming in the opposite direction. The bright headlights from the oncoming vehicle caused Choc to momentarily lose sight of the road, hitting Sis as a result.